At Prettys, the Family Law team provides a bespoke service suited to your needs and individual situation. Our Family solicitors understand that family issues involve complex emotions, even in amicable circumstances, and that relationship breakdown can be traumatic. As experienced divorce solicitors, we are committed to resolving disputes in a sensitive way, preserving the dignity of all those involved but with acceptable outcomes. All of the solicitors in the department are members of Resolution, the national organisation of family lawyers who are committed to resolving disputes in a non-confrontational way. We also subscribe to Resolution’s Code of Practice and believe that family law disputes should be dealt with in a constructive way designed to encourage agreements. "‘Prettys’ Family department was also highlighted for their great work. One barrister remarked that the ‘Family law department provides excellent service to its clients’. Georgie Hall practice leader and collaborative lawyer was described as ‘impressive’, Georgina Rayment as ‘a superb lawyer’, who ‘fights her corner’." 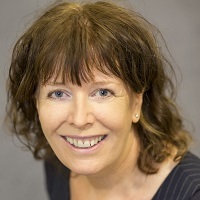 "Collaborative lawyer and team head Georgie Hall has more than 20 years’ experience and is widely regarded as one of the best family lawyers in Ipswich"
Georgie has headed the Family Law Department since 2003, having joined Prettys in 1992. Georgie’s entire case load comes by way of recommendation, either from her own clients or other professionals. Whilst Georgie covers all areas of relationship breakdown whether it be finances, children, pre or post-marriage clarification as to asset division, her hallmark is seen as the quality of client care provided. Georgie specialises in dispute resolution alternate to court so works as a mediator and a collaborative solicitor; with the bulk of her case load dealt with resolution through negotiation and round table work. Georgie still operates a litigation case load but only on the very few cases where this is a necessary way of dealing with the needs of the case. mediation of cases where nothing else is working. 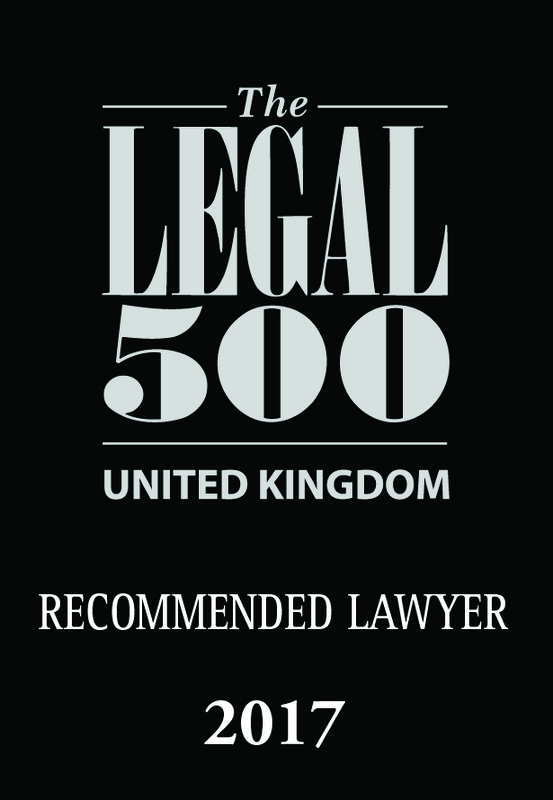 "The ‘approachable and straightforward’ Georgina Rayment, who has more than ten years’ experience as a family law specialist and mediator, ‘has a very good manner; sympathetic but firm and confident in her advice’"
Georgina joined Prettys in 1999 and qualified as a legal executive in 2003 having undertaken her training on a part-time basis whilst working in the Family Department. She continued her studies at APU Cambridge and qualified as a solicitor in 2006. In 2010 she was promoted to Associate. Georgina advises clients on all issues arising from family matters to include divorce, financial resolution, children disputes, cohabitation agreements, pre-marital agreements and financial resolution following overseas divorce. Georgina is a mediator and member of Resolution; she is committed to resolving family matters outside court wherever possible. Resolving financial claims in England following divorce proceedings in the Ukraine and separately, resolving financial claims in England for parties resident in America and Mexico. Conducting litigious financial proceedings involving dissipation of a family Trust and cross-jurisdictional issues arising between England and Scotland. Representing the Respondent, an international sportsman, who was the subject of a worldwide freezing injunction. Representing the executors of the estate of a deceased matrimonial client and assisting with specialist probate and matrimonial applications to implement a financial Order following persistent non-compliance by the Respondent. Resolving round table a protracted matrimonial dispute involving several properties in England and Turkey. Matthew qualified as a solicitor in 2001 following completion of his training at a prominent law firm in East London. Matthew originally joined Prettys in 2003 before leaving to head up the family law team in a firm based in Newmarket in 2009. Matthew has now re-joined Prettys as a Senior Associate bringing with him a wealth of experience to the family law team. Notably, Matthew was the husband’s solicitor in the Wright case which received worldwide publicity following the decision passed down by The Court of Appeal involving spousal maintenance, the result of which has dramatically changed the legal landscape in this area of law. Consequently Matthew now receives instruction from clients both in the UK and abroad seeking advice in this particular area. In addition, Matthew advises clients on all issues arising from family matters, including divorce, financial resolution, children disputes, pre/post marital agreements as well as financial resolution with cross jurisdictional elements, businesses, trusts and land. Matthew is collaboratively trained and a member of Resolution. He is committed to resolving all family matters outside court wherever possible. Representing clients in applications to vary spousal maintenance both based in the UK and overseas. Successfully securing the return of a child to his father following the child’s abduction by the mother. Representing a client in highly complex financial proceedings involving a number of properties situated in the UK and abroad, various business interests and where conduct was also raised. Defeating an application to remove children from the jurisdiction. Successfully overseeing a myriad of professionals in a case involving trusts, land property and mental health issues in a quasi-collaborative case where a positive outcome for all parties was achieved. Acting for a farmer where the only asset was the farm and achieving a pragmatic settlement to ensure the farm was retained by the client. Acting for a client whose husband was caught with drugs with a street value of £1million and defeating the CPS claim that the matrimonial assets were caught under The Proceeds of Crime Act to ensure she retained the family home for her and the children. Representing a client with a complex pension fund with over £3.5 million within financial proceedings. "Solicitor and mediator Victoria Mayhew is also recommended"
Victoria studied at the University of East Anglia, obtaining a 2:1 degree in law. Victoria then undertook the Legal Practice Course at the University of Sheffield, achieving a distinction. She joined Prettys as a solicitor in 2009, having trained at a top London law firm. Victoria trained as a mediator in 2012. Victoria was promoted to Associate in 2017. As a solicitor, Victoria advises clients on divorce, separation, financial arrangements, children matters, cohabitation and pre/post-marital agreements. As a mediator, Victoria assists married and unmarried clients with issues arising from relationship breakdown, including arrangements for the children and financial settlements. Victoria is a member of Resolution and is committed to resolving family matters outside of court wherever possible. negotiating a financial settlement following an acrimonious marital breakdown by involving other professionals (accountants and family therapist) at an early stage and adopting a co-working approach. mediating a case in which solicitor negotiation on the financial arrangements between divorcing parents had reached a stalemate. This was impacting on their ability to reach agreement as to the arrangements for their child. The mediation successfully overcame the impasse on the finances and also resulted in better co-operation regarding their child.